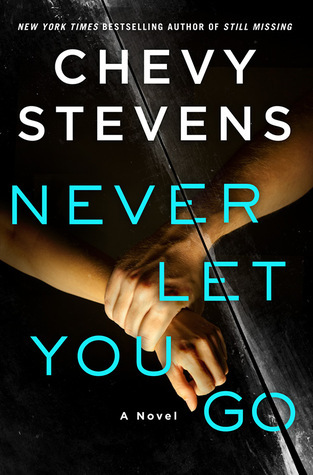 From Goodreads ~ Eleven years ago, Lindsey Nash escaped into the night with her young daughter and left an abusive relationship. Her ex-husband was sent to jail and she started over with a new life. Now, Lindsey is older and wiser, with a teenage daughter who needs her more than ever. When her ex-husband is finally released, Lindsey believes she’s cut all ties. But she gets the sense that someone is watching her. Her new boyfriend is threatened. Her home is invaded and her daughter is shadowed. Lindsey is convinced it’s her ex-husband, even though he claims he’s a different person. But can he really change? Is the one who wants her dead closer to home than she thought? When Lindsey was 19, she met and fell in love with Andrew, who was a bit older, and a successful business owner. They quickly got married and soon had a daughter named Sophie. Andrew started off as a nice thoughtful caring husband but over time became increasingly possessive and eventually abusive. Sophie started to plan on leaving him. On the night she finally does, Andrew did something, was arrested and put in prison for ten years. Over the next ten years, Lindsey and Sophie rebuilt their lives in a small town. Lindsey had her own business, a new boyfriend and the support of friends. Sophie, now in her late teens, missed having a relationship with her father and, unbeknownst to Lindsey, contacted him just before he is released from prison. Once he had served his time, Andrew wanted to get to know his daughter and make up for all the hurt he had caused. When Lindsey discovered Sophie had been seeing Andrew, she freaked out and assumed the strange things that were happening was Andrew getting revenge. I've read a few books by this author and enjoyed this one ... it's pretty intense given the subject matter. It's written in first person perspective from Lindsey and Sophie's points of view and jumps back and forth in time, giving you the back story. The voices and time periods alternate by chapters but they are labeled so you know whose voice it is and when. As a head's up, there is swearing and violence. I've picked up her books a few times, but just haven't taken the plunge yet. Sounds entertaining: maybe this summer! I like her books and writing style. Not light reads, though.